The famous bull temple was built in the year 1537 AD and is dedicated to Lord Shiva. The temple was constructed by Kempe Gowda. The temple is exactly located in Basavanagudi in Bangalore in the Indian state of Karnataka. The Bull temple is a unique entity in itself. 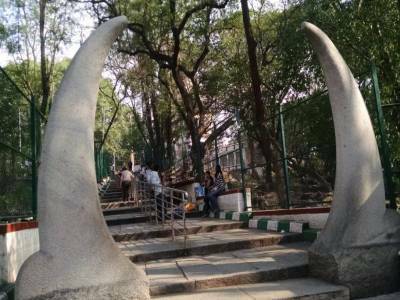 The actual temple is situated at the southern end of the Bull Temple Road in Bangalore (present Bengaluru). The word ‘Basavanagudi’ has been derived from the word ‘Basava’ meaning “Bull”. The great attraction of the temple is the splendid and the colossal image of bull. 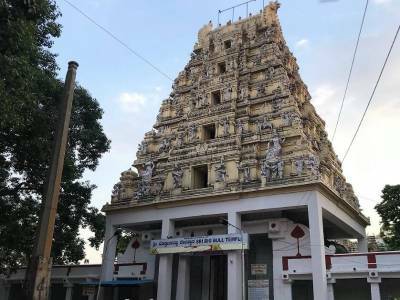 The temple is hovering at the top of the Bungle hill and is very easily accessible from any part of Bangalore via taxis, buses or even by auto-rickshaw. 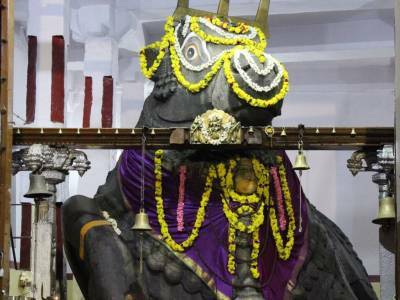 It is the colossal image of the bull which commemorates the mount of Lord Shiva. The height and length of the massive image are 5m and 6m respectively. It is believed that the monolithic bull is much older than the temple. The giant image of ‘Nandi’ has been carved out of a granite stone. 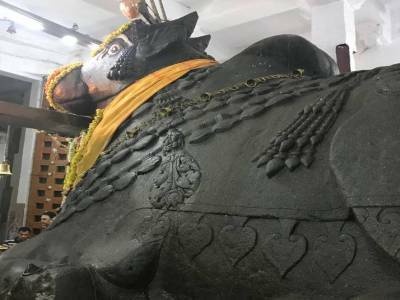 Although the colour of the bull was grey initially, however, later with devotees applying much coconut oil to it over all these long years; it has become black. According to legends, the river Vishwa Bharati has originated from the feet of the bull “Nandi”. 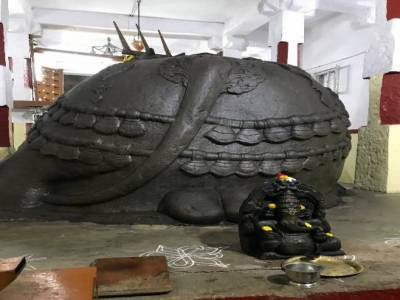 Behind the image of the bull is placed the Shiva Lingam. The architectural style of this great temple resembles the Dravidian style of architecture. Like the majority of the temples in the country, the establishment of this Bull Temple too has a story behind it and that being that it was built for pacifying a bull that was on its way trying to make efforts to cause damage to the groundnuts in a field nearby. Get quick answers from travelers who visit to Bull Temple.